A boat very close to the surface of the water, canoe/kayaking is another way to discover the Loire and its tributaries. Whether you are a novice, experienced or with family, canoeing is ideal for silent exploration of the most beautiful Loire landscapes. Visit the Loire, Vienne, Erdre and also the Cher, the closest you can to the water. Rent a canoe/kayak in iconic Loire towns like Chinon and Saumur, from the city centre or slightly further out at activity centres. 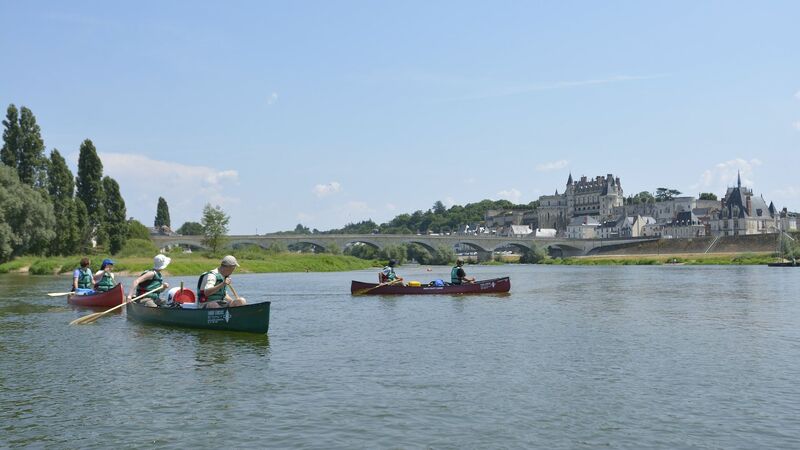 Leave from the Saumur Canoe Club, to explore the Loire or Vienne by canoe or kayak. Setting out alone or with others (up to 3 people) in your boat, cross the Loire Anjou Touraine Regional Nature Park, with a rich variety of Loire fauna and flora. At Montreuil-Bellay, 15km from Saumur, visit the Thouet Valley, upstream or downstream. In the area around Saumur, you can also rent a canoe in Saint-Martin-de-la-Place (10km away) or Gennes (18km). From Chinon, sail down the Loire and Vienne, one of its tributaries. During your journey on the water, stop over in small traditional villages like Candes-Saint-Martin or Montsoreau, where the Vienne joins the Loire. 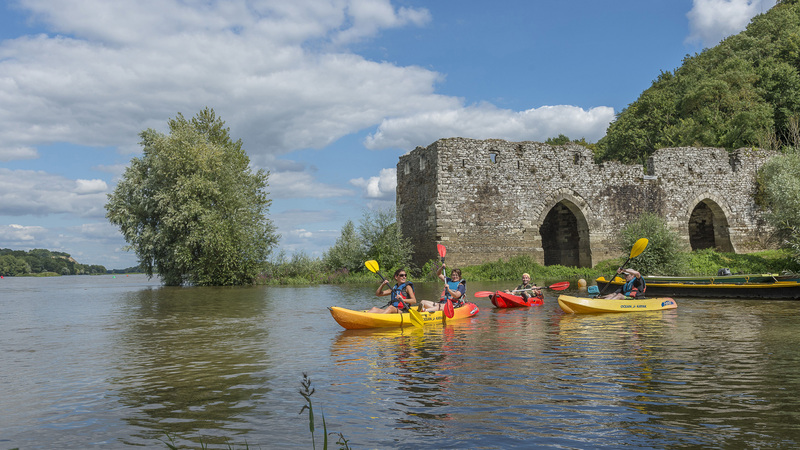 Many other starting points are possible including Amboise, Blois, Orléans, Châteauneuf-sur-Loire… Rental companies propose themed trips, night tours or outings combining canoeing and biking! 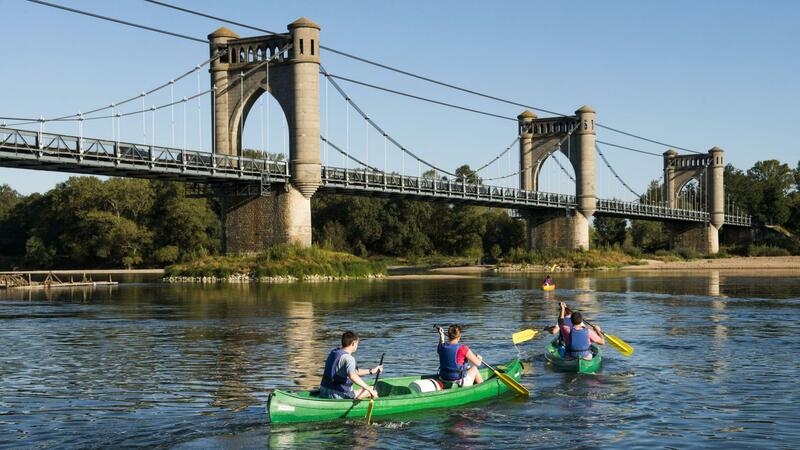 The Ponts-de-Cé canoe/kayak activity centre close to Angers, offers a different type of excursion by canoe/kayak: at sunset. Accompanied by an instructor, watch the Loire change colour as night falls. A magical moment, which can be extended with an aperitif when back from the trip. Close to Nantes, follow the river Erdre's course at night, encountering Grey Herons and nautical and architectural heritage.. Finally, with Kayak Nomade in Pornic, discover the total peace and quiet of the Haute Perche Canal that winds through farmland, fisheries and forest. Trips along the Pornic coastline are also available. There is also a chance to sail down the Loire and Vienne at the Loire Anjou Touraine Regional Nature Park. 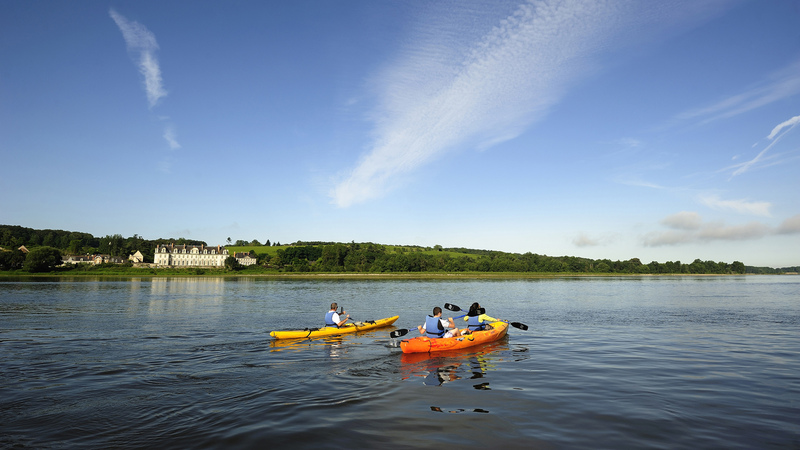 Nine themed activities are available for you to discover the Loire and Vienne. Explanatory sheets are provided for your visit.